In 2007, an investment firm hired my studio, ERA404, to design an “Indiana Jones diary” for a global investor, as a unique way of showcasing their findings from a literacy study they conducted. Part of the project was creating a dozen or so original illustrations from his travels. 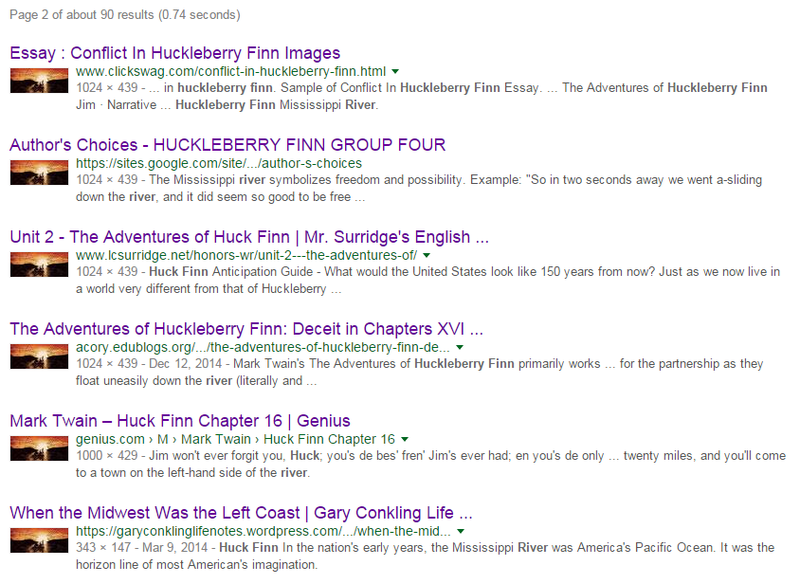 One of the illustrations was of Huckleberry Finn rafting down the Mississippi River. I confess that I borrowed inspiration from an iconic book cover when creating the artwork. A few weeks ago, a friend and colleague pointed my attention to an article on VentureBeat.com which incorporated a cropped version of this illustration. On a whim, I did a Google Image Search, and was able to find that this image has been reproduced, re-cropped, and re-used in 8 pages and 90 links worth of results, making it one of the most frequently returned images in Google searches with the keywords “huck finn river”.